The chief executive of Palace Cinemas, Benjamin Zeccola, said cinemas were just trying to stay in business by increasing the top ticket price to $20. Mr Zeccola, whose chain fully or jointly operates 22 upmarket cinemas around the country, is upset at widespread claims that the cost of movie-going excuses illegal downloading. Highlighting Australia’s high labour costs, Zeccola points out that Palace staff are paid AUS $25.60 (USD $24.10) per hour, compared to AUS $15 (USD 14.12) for London staff (just don’t tell him London’s Ritzy staff are going on strike today over low wages). 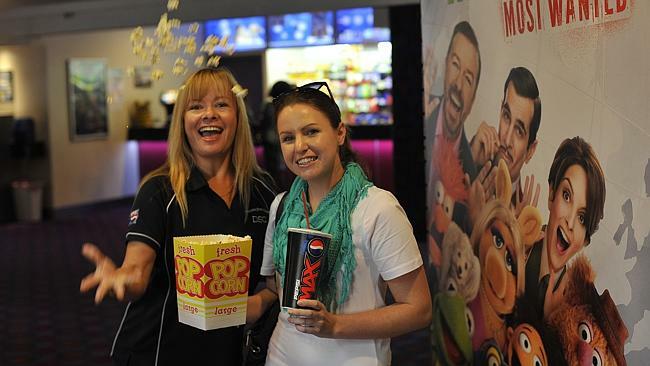 Forget spending hundreds on an evening at the movies – a trip to Dumaresq Street Cinema in Campbelltown would rarely cost a family of four more than $30. A serving of popcorn will set you back just $1.50 at the family-run cinema, as will a small drink. Indonesia: South Korean multiplex major CJ CGV has strengthened its minority stake in Indonesia’s second largest cinema operator, confirming the country’s significant growth cinema potential. South Korea’s largest cinema chain CJ CGV has advanced into the Indonesian market following China, Vietnam and the United States, the company said Friday. CJ CGV said it took over a 14.75 percent stake in Indonesia’s theater chain Blitzmegaplex after it was listed on the local stock exchange on Thursday. 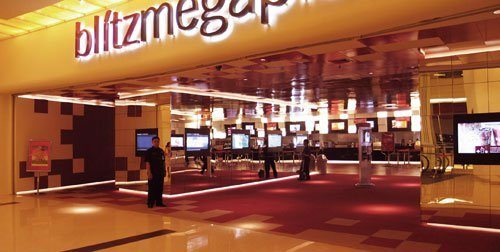 Meanwhile Blitzmegaplex has announced that it will use the proceeds from its recent IPO to open three more multiplexes this year. The cinemas would be built in Yogyakarta; Bandung, West Java, and Balikpapan, East Kalimantan, costing around US$2 million for each cinema, Graha Layar Prima’s marketing director, Ferdiana Yulia Sunardi, said on Thursday. 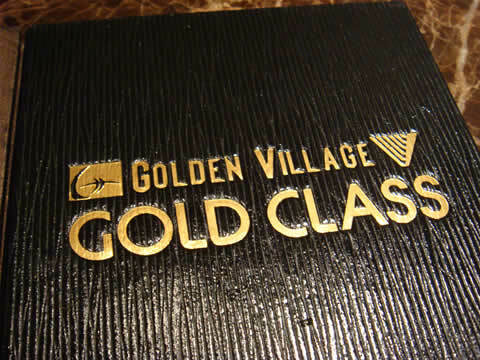 Singapore: FilmBizAsia has an interview with the CEO of Golden Village Multiplex, Singapore’s largest multiplex chain. Clara Cheo talks about innovations and challenges over the past few years. To wow the audience, GV keeps itself at the forefront of equipment and technology. In 2012, the 602-seat GVmax hall at its flagship GV Vivocity became the first in Southeast Asia equipped with Dolby Atmos, the large cinema audio installation with 67 speakers. The same year also saw the chain as one of the firsts in Southeast Asia to go fully digital. Having one of the highest cinema attendances in the world (4.5 visits per inhabitant per year), it is noteworthy that 3D takings in Singapore have dropped from 50% to 10%-15% for films released in the format. Lots of other interesting information about my local movie chain. XPAND 3D today announced the appointment of Jorge Dantas to the position of Senior Vice President for Americas and Country Manager for Brazil . In his new role, Dantas will be responsible for overseeing XPAND’s new businesses development, sales and strategic deployment. 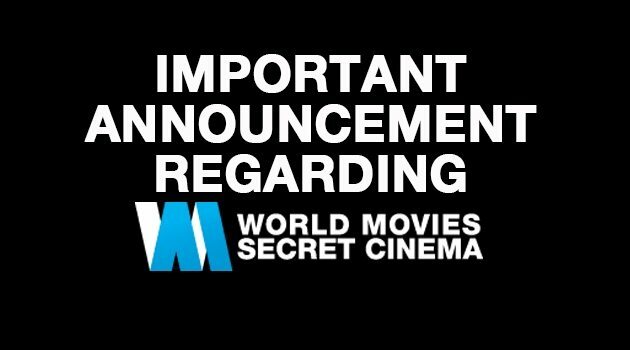 Australia: World Movies Secret Cinema had to cancel/postpone the screening for this evening at the last moment. Spokesman Michael Morcos told Mumbrella the event was not cancelled but postponed, and said it is not due to the wet weather Sydney has experienced this week but rather due to an unforeseen issue with the “untouched” nature of the secret location of the event. UK (Scotland): Not a first, as Aberdeen FC’s first league cup final in 14 years was shown at the Belmont Cinema back in March, as we reported here. Although 5,000 loyal fans will make the pilgrimage to Ibrox on Sunday, those who cannot will still be able to enjoy the game day atmosphere. 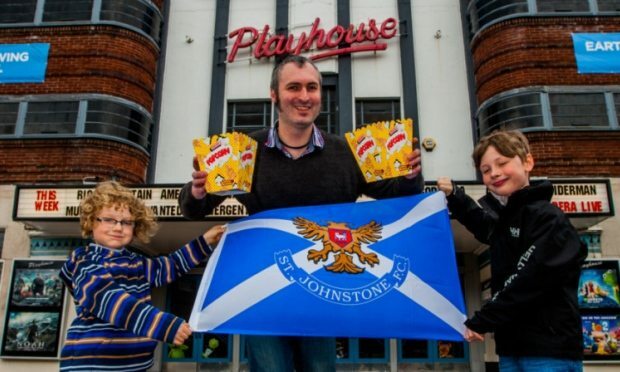 In what is believed to be a first for Scottish cinemas, Perth Playhouse will be screening the match live. More than 100 supporters will be given the opportunity to cheer on their team from the comfort of the theatre. 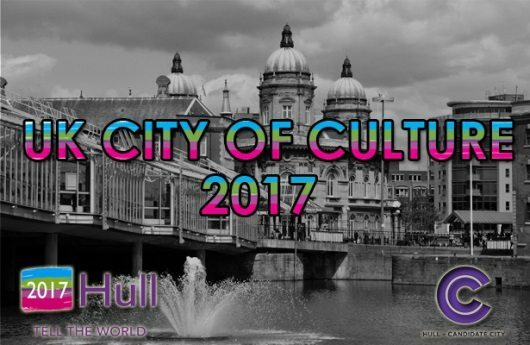 UK (Hull): The European City of Culture 2017 will have to pay GBP £200,000 to three re-located projectionists it no longer employs. The Hull Council workers transferred to Reel Cinema when the council switched venues for screening independent and foreign films from the central library five years ago. Apparently Reel Cinema attracts audiences of just nine people for the average screening. Go cul-CHA! USA (FL): This columnist obviously didn’t get John Fithian’s memo about a night out at the movies being good value for money. She devotes a whole long column to complaining about the cost of EVERYTHING in the cinemas. It’s no wonder there’s an ATM right next to the candy counter. I feel for guys out on a date. I suspect one can apply for a loan as they wait, and ensuring proper credit, be able to buy snacks for their date once approved. USA (NY): This family business spent USD $300,000 to equip a four-screen cinema in upstate New York with digital projectors, surround sound and new seats. 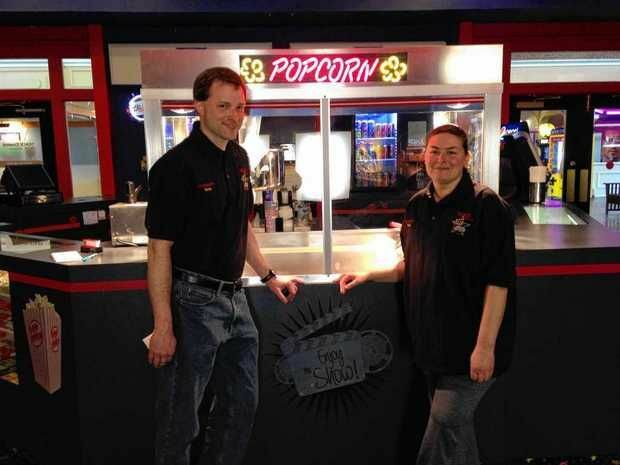 The M&Ms, Skittles and Whoppers are stacked in the candy case, most of the new seats are installed and there is just some painting to do to ready Track Cinema for its grand opening in the Fingerlakes Mall. UK (Scotland): Inverness already has a Vue multiplex at Inverness Retail Park and an Eden Court cinema on the riverside, but apparently there is room for more. The owners of the biggest shopping centre in the Highlands plan to extend the site to include an eight-screen cinema and restaurants. 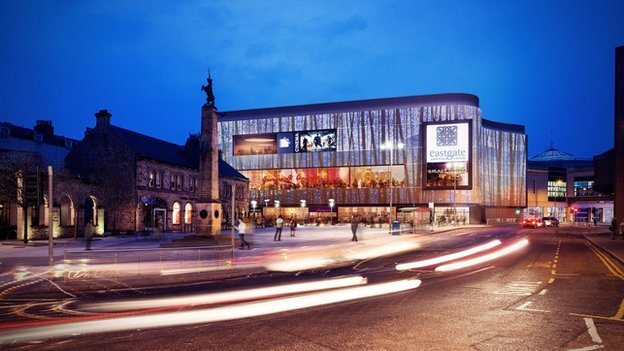 F&C Reit has proposed adding a new level to the Eastgate Shopping Centre in Inverness and extending it into Falcon Square. UAE (Dubai): Tough choices in the UAE; including a cinema in an existing mall will mean having to sacrifice parking space capacity. UAE-based Landmark Group is mulling the inclusion of cinemas in its community mall Oasis Centre, as it eyes major expansion for the concept across the GCC, the mall’s director has said. UK: Approval has been granted for the building of a cinema in London’s suburb Eltham. A six-screen cinema complex is on the way to Eltham after a planning board approved outline proposals. The 900-seat complex will take the place of Poundland on the high street – previously bought by Greenwich Council for the development. USA (WI): Good to see cinemas putting their best facade forward. 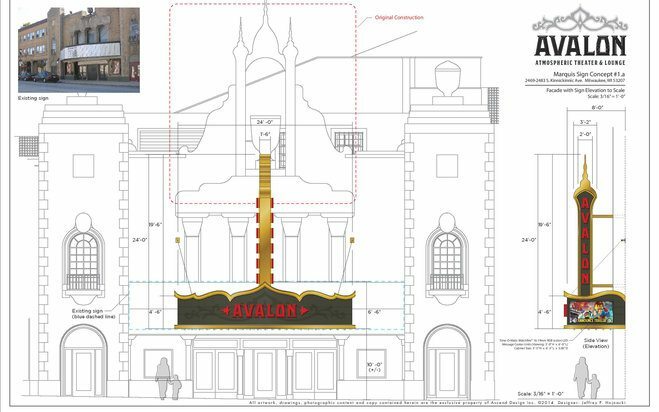 The Avalon Theater’s renovations underway in Milwaukee’s Bay View neighborhood will include a new marquee, which a city panel is to review next week. The new sign is designed to pay homage to the atmospheric movie theaters of the 1920s, according to the proposal filed by building owner Lee Barczak with the city Historic Preservation Commission. Any exterior changes to the historic building, 2473 S. Kinnickinnic Ave., require commission approval. USA (NY): Looks like this cinema will also need a new sign. Unless it is demolished. Comments below the article diverge widely on whether to keep this cinema in Queens, New York, open. 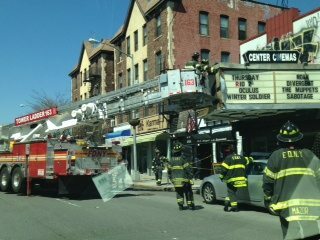 The building manager Michael Christopher said that a truck hit the sign while it was traveling along Queens Blvd. Another man said later today that a truck backed into the sign. However, there was no sign of a truck on the scene. How many of you have seen the actual Smell-O-Vision, nevermind experienced it? Behold it above in all its 1950s retro-futuristic glory. And even in the case of 3D, it was a cheaper technology because it was trying to give audiences something spectacular that was much less expensive than Cinerama widescreen, which required major reworking of theaters to support. With other gimmicks that followed, a lot of filmmakers have tried to bring audiences into theaters for cut-rate prices, and many of these innovations are amusing to look back on today. Here are some of my favorites. The original version of 4D was first called “glorious Smell-O-Vision,” and it was used back in 1960 in the movie The Scent of Mystery. The technology was first developed by Mike Todd, a famous impresario who was married to Elizabeth Taylor. Todd produced the film Around the World in 80 Days, and he also developed the Todd A-O widescreen process, which was a variation on Cinerama with some of the bugs ironed out. 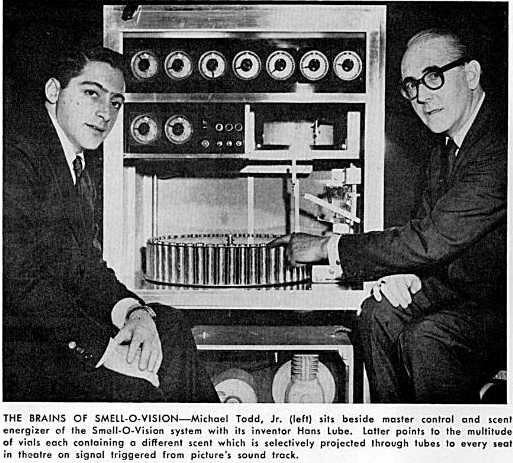 Todd died in a plane crash in 1958, and his son, Mike Todd Jr., finished up his father’s work with Smell-O-Vision, and finally brought it to the big screen with Scent of Mystery. Several other examples are examined, including one of my favourites below. Not sure why it didn’t take off – the technology was much cheaper than 3D.